The last six months has seen huge changes professionally for Haguenauer. After coaching with Muriel Zazoui in his hometown of Lyon for seventeen years, he decided that he needed a new challenge and moved to Montreal to work with former pupils Marie-France Dubreuil and Patrice Lauzon. Haguenauer was part of the coaching team for the Canadians and, under his and Zazoui’s tutelage, they twice became World silver medallists before announcing their retirement from competition formally in 2008. For a number of years they skated in shows before they opened up their own ice dance school at the Gadbois Centre in Montreal. Before he made his move to Montreal, Haguenauer had to break the news to his students in Lyon, including Papadakis and Cizeron. The young French team also made up their minds swiftly to go with their coach to Canada. At their new Canadian base, Haguenauer, Papadakis, Cizeron and their team set about working on their programmes for this season and in the process came up with one of the most memorable and innovative ice dance routines of the last decade. The vision to skate to Mozart’s “Adagio from Concerto No. 23” came from Haguenauer, but he broached the subject of skating to it in of all places a Tokyo hospital ward. “Le Parc” was created by choreographer Angelin Preljocaj for the Paris Opera Ballet, the oldest national ballet company in the world, in 1994 and dwells on the themes of the ebb and flow of passion and the war of the sexes. It is a deeply sensual piece of work that requires a maturity to portray which is why it’s all the more surprising that two ice dancers out of juniors less than two seasons have been able to transfer it onto the ice so seamlessly. Haguenauer points to the character of his two charges and the work they have done off-ice in preparation. Haguenauer also realises that he has been blessed to be able to work with two skaters who are so technically gifted and possess qualities that he feels are essential for an ice dance partnership. 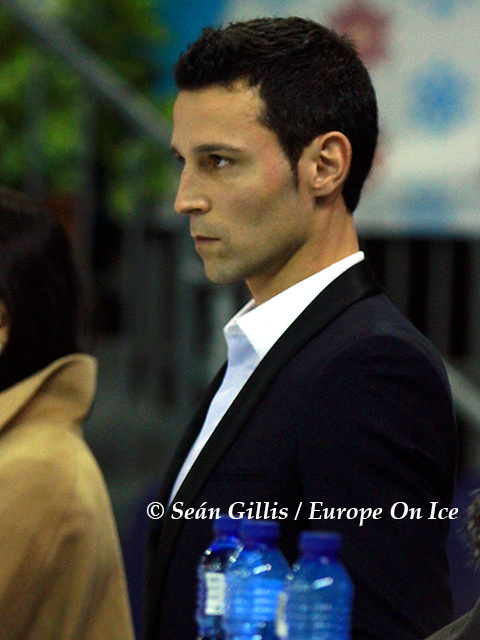 Papadakis and Cizeron have been a team for a decade or so and Haguenauer has known them for much of that time. Their previous coach was Gabriella’s mother, Catherine Papadakis, who they trained with in their hometown of Clermont-Ferrand. Haguenauer first met them when they were fourteen year old and at novice level. They came to him during their holidays to train and finally switched to being coached by him full-time almost four years ago. Haguenauer immediately recognised in them the ability to make it all the way. The last five seasons in ice dance had been dominated by the lyrical Virtue and Moir and the dynamic Davis and White and many lower ranked teams had sought out Marina Zoueva and Igor Shpilband, before and after their training group split, to create programmes in a similar mould. That was never going to be an option that would satisfy Papadakis and Cizeron. 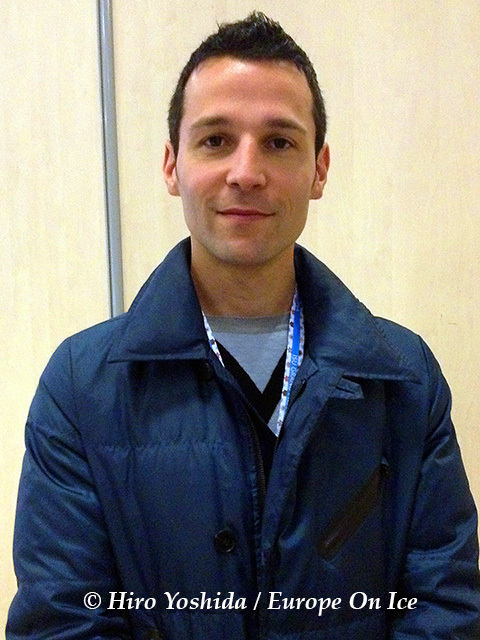 The retirement of Brian Joubert and Nathalie Péchalat and Fabian Bourzat after last season means that Papadakis and Cizeron now carry the weight of expectations from their federation to keep the sport of figure skating in the eyes of the French public. Haguenauer is confident that they will rise to the challenge. The next step for Papadakis and Cizeron is this month’s European Championships in Stockholm. They go in as the favourites for gold and the highest ranked European team this season after their bronze medal in Barcelona. Haguenauer is under no illusions that the outcome is predetermined, but he has high hopes for his team.